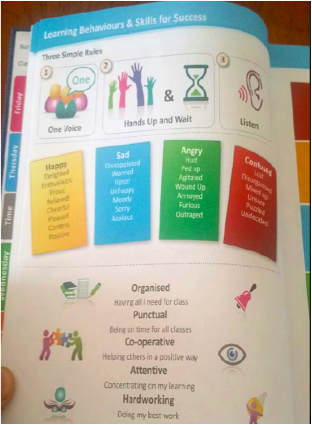 The National Behaviour Support Service (NBSS) provides support and expertise to partner post-primary schools on issues related to behaviour. On this website you will find extensive information on how our three-tiered problem-solving model operates in schools; locate our research, publications and resources; and find a wide variety other useful materials both national and international. The NBSS has been in RCS since 2013. The NBSS provides both Level 1 and Level 2 support to the school. The NBSS Co-ordinator is Ms. Mary Cullinane, Assistant Principal. The NBSS RDO for RCS is Ms. Nickola Hollie. 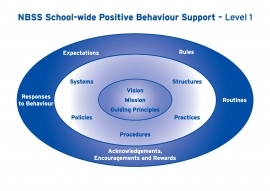 The NBSS sees a school-wide approach to positive behaviour as fundamental to its work with schools. 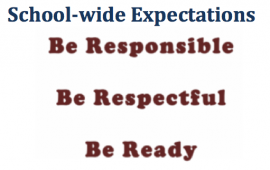 At Level 1 the NBSS works with schools, for example, on vision, mission, systems, structures, policies, practices, rules, routines and expectations. 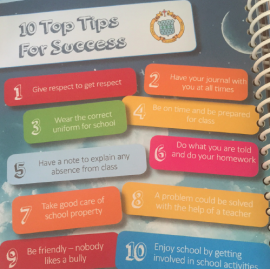 RCS under the Guidance of NBSS launched its’ new School Vision in 2014. Our new vision, RCS – Respect, Community, Success has reinvigorated pride in our school and what we stand for. 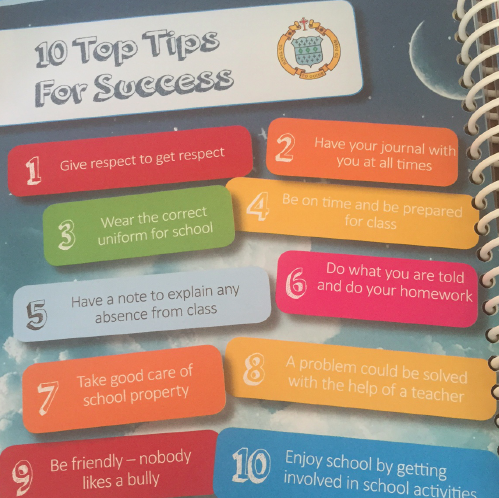 The NBSS Belonging Plus+ transition and transfer programme explicitly teaches first year students about their new school’s expectations, rules and routines. 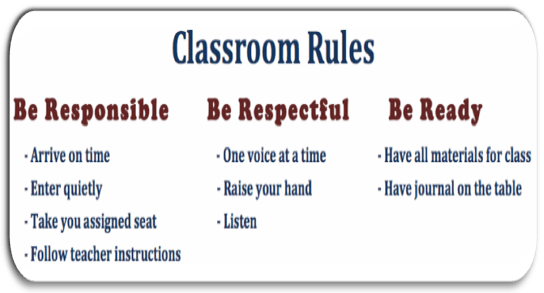 Class rules are displayed and used as visual reminders and cues. 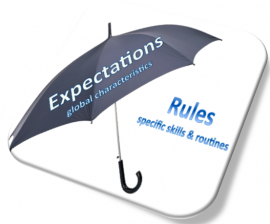 Expectations and rules are key elements of school-wide positive behaviour support. 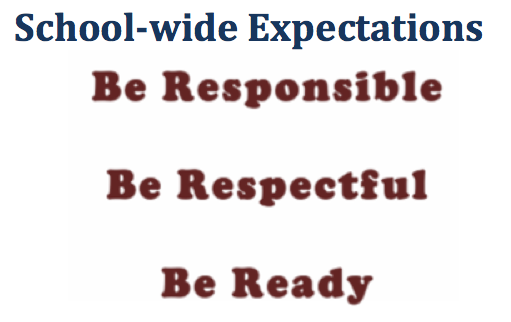 School-wide expectations are specific, positively stated behaviours that are desired of all in the school community. School rules describe specific behaviours and are observable and measurable. Many NBSS partner school include visuals reminders of the NBSS behaviour for learning skills in their school journal. NBSS Level 1 school-wide support assists schools in strengthening, developing and evaluating proactive and preventative systems, structures, policies, practices and initiatives with respect to behaviour. The aim of this support is to stimulate the creation of school cultures that actively promote positive behaviour to enrich the learning and teaching experiences of all members of the school community. Level 1 school-wide support for all students is comprised of a range of evidence based practices and strategies that assist schools in developing a school-wide approach to positive behaviour. As part of Level 1 support, partner schools are required to select a number of representative staff members to form a Positive Behaviour Strategy Team. 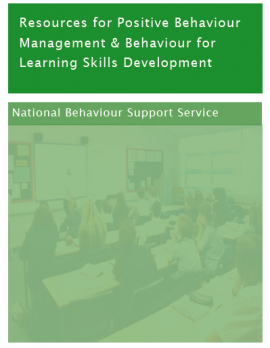 This NBSS publication outlines books, resources and programmes that are available and can support and inform the development of behaviour for learning skills, positive approaches to classroom management, as well as school-wide strategies to promote positive behaviour. 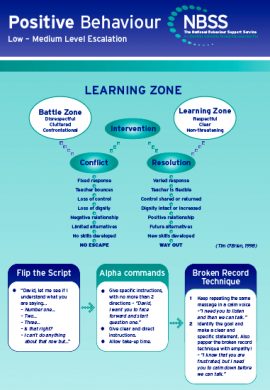 The NBSS works with schools looking at practical strategies for dealing with low-to-medium level disruption. The NBSS provides CPD support in a number of key behaviour and learning approaches, methodologies and issues, as identified by school staff. 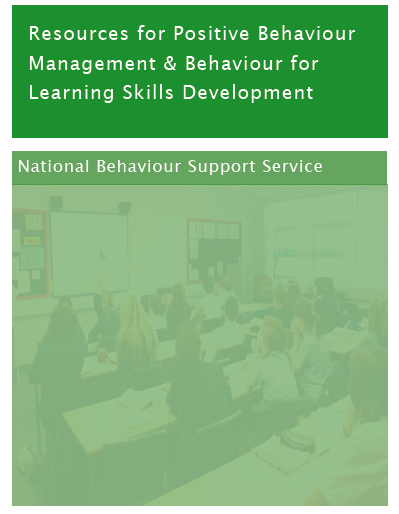 The NBSS provides support and training in a number of key behaviour and learning approaches, methodologies and issues, as identified by school staff and the school’s Positive Behaviour Strategy Team, in consultation with the NBSS. 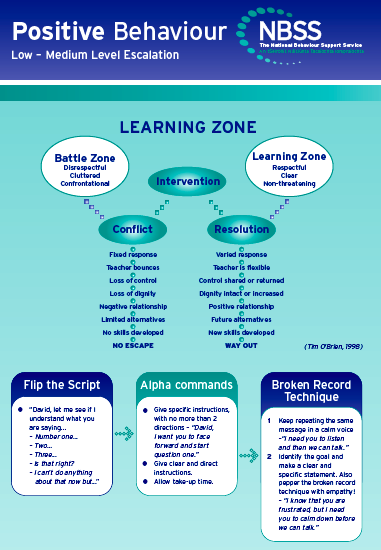 Solution Focused Approaches to Behaviour Improvement. Teachers sharing good practices within their school communities and in national fora to peers and management. Teachers developing and implementing ‘Teacher as Researcher Projects’ related to particular areas of interest or concern. Follow-up consultation and work with groups of teachers in partner schools.